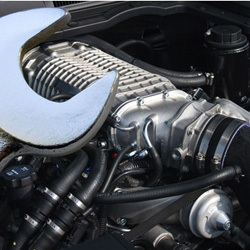 Car servicing is one of the best preventative measures for any vehicle owner. For so many motorists, a car or van could be their pride and joy. It could be their tool of the trade. It may be the kids taxi. Even if it’s just for the school run or just to get to the shops, love your vehicle, treat it to a service. Regular vehicle servicing will not only prolong the life of your vehicle and it’s engine, it will also prevent expensive repair costs in the future. We deliver professional vehicle servicing at our workshop in Weymouth to the same service schedules used by main dealerships. 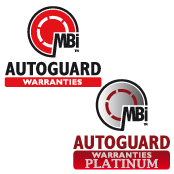 Our technicians employ the working practices, the parts and the lubricants recommended by the manufacturer of your vehicle to ensure any existing warranties always remain intact. Servicing generally takes place in several different forms, an oil and filter change, an interim service and a full or major service. The single most important thing that a person can do to prolong the life and performance of their car is to have an oil and filter change once a year or every six to twelve thousand miles. Our highly skilled service team will help keep your car or van in top condition and safe to drive, which could also help hold its resale value. Excellent. South Coast Autos is my go to garage for all our mechanical needs. Steve and his team are always helpful and will go the extra mile to make sure you're looked after. We have used them for a number of years, with several cars and have stuck with them when they changed to their new premises. My partner likes the fact that she is not patronised and has everything explained to her; there's no misconceptions, no hidden charges and if there's anything extra that needs doing, it's pointed out. It can be hard to find a garage with this level of service and customer care- You don't get this with main dealers.... Plus they're a good laugh too! We take both of our BMW's there and highly recommend them for all of your mechanical needs.